Supplies: Supplies is one of the basic Resources for base development. 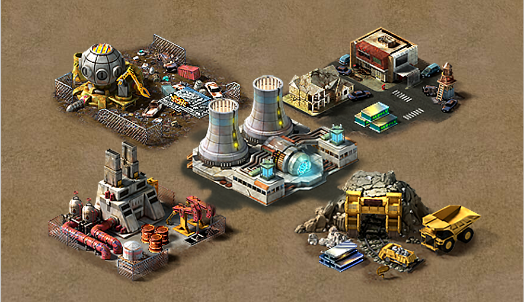 Supplies can be produced by Supply Factory or gathered in Resource Tiles. Oil: Oil is one of the basic Resources for base development. Oil can be produced by Oil Refinary, or gathered in Resource Tiles. Metal: Metal is one of the basic Resources for base development. Metal can be produced by Smeltery, or gathered in Resource Tiles. Electricity: Electricity is one of the basic Resources for base development. Electricity can be produced by Power Plant, or gathered in Resource Tiles. Organisms: Organism is one of the basic Resources for base development. Organism can be produced by Residence, or gathered in Resource Tiles. Astone: Important currency. Astone can be used to buy items, to speed up, and to buy keys for Black Market. It’s hard to get in the game. Tap to fix the position of your base. Tap to open the Bookmark which records the Coordination of Tiles on the District Map. Tap each Bookmark to lock the position of the Tile immediately. Tap to start searching. Input the Coordination and lock the position of the Tile immediately. Map Switch: Switch between the Base Map and the District Map. Alliance: Tap to open the Alliance List. indicates there are Alliance Chests can to be opened. The number indicates how many daily tasks need to be done. More: Including Game Settings, Account, Leaderboards, Blacklist, Help and Searching Lists. Chat Messages: This Dialog Box will show two latest messages from the players. Slide your finger to switch District Chatroom and Alliance Chatroom. Tap to start chatting. Warning: Receive Warning or notification when there are Troops marching towards your base or camp, including Attack Warning, Scout Warning, Collision Course. Black Market: This notice appears when you get a free key . Tap to enter the Black Market. Marches: Tap to directly enter the Marches List in the Muster Field. The number indicates how many marches out of your base. 1. The largest building in the base. Its level determines the base’s level. 2. You can arrange Secretary in the Command. The base Bonus of Secretary will be directly added to the base’s attributes. 3. You can check your base's information and change its name. a. Increase the Maximum of Help capacity from your Alliance Members. b. Increase total troop capacity. e. Increase the Maximum of reinforcement troops. 1. In Black Market, players can get regular rewards, also players can use Astone to get rewards immediately. 2. You can get awards from Black Market, including Items, Resources, Materials, Chips and Heroes. 3. You have some free keys everyday. a. You can increase your research speed. 1. The Officers Quarters is a place that you can handle your heroes. You upgrade, equip and fire your Hero in the Officers Quarters. c. Add training slots. You can also spend Astone to add training slots. 1. In The Staging Area, you can check and manage all your troops at here. 2. Ally’s Reinforcing Troops also stationed at the Staging Area. You can send back their Reinforcing Troops at here. a. Reinforcing Troops can only help defend your base. 1. You can upgrade Liaison Office to increase the upper limit of donated troops you can get when initiate a rally. 1. 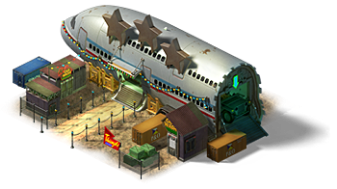 You can arrange a hero in it to lead all the soldiers and defend the base against enemies. a. Provide the troop guarding the base with a defense bonus. 1. In The Weapons Factory, you can craft equipment for your Hero, also you can transmute lower level materials and chips into higher level materials and chips. 1. 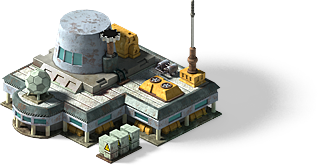 The Storage can protect the base's resource from being plundered if defeated. a. You can protect more resources. b. You can get extra Stockpile. 1. In The Radar, you can check all notices. b. Get more detailed notices. 1. 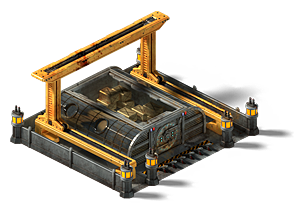 The Transport Station allows you to send resources to your allies, among which some are paid as tax. 1. The Recruiting Stations can only be built inside the base. You can build several Recruiting Stations in the base. 2. You can check and recruit troops in Recruiting Stations. a. Increase troops recruiting capacity. c. Increase total troop attack. 1. The Hospital can only be built inside the base. You can build several Hospitals in the base. 2. You can heal your wounded troops in Hospital. 3. You can recover your dormancy troops in Hospital. a. Increase the maximum troops you can heal. a. Increase total troop health. 1. The Residence can only be built inside the base. You can build several Residences in the base. b. Increase Organism hourly income and the maximum Production Capacity. c. Increase total troop defense. 1. The Transmitter is used in Expedition Events. It can lead to several different areas and players can participate to get rewards. a. During Expedition Event, you can teleport to a different area through The Transmitter. Once you teleport to that area, the system will start a 4 or 8 hours-countdown. Your base will be randomly teleported to your own district after the event or the countdown is over. b. 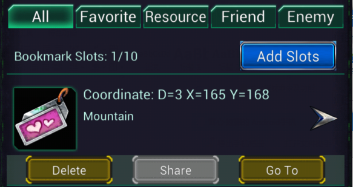 During Expedition Event, you can only get points for your actions on that specific area. For example, if it’s a Gathering Event, in this case your gathering on District Map would be in vain. So are other events. Increase Supplies hourly income and the maximum Production Capacity. Only can be built outside the base. Increase Oil hourly income and the maximum of Production Capacity. Only can be built outside the base. Increase Metal hourly income and the maximum Production Capacity. Only can be built outside the base. Increase Electricity hourly income and the maximum Production Capacity. Only can be built outside the base. A kind of currency that you can get by doing Alliance Daily Quests, opening Alliance Chests and helping Alliance Members. You can use Loyalty to buy items in Alliance Store. While getting Loyalty, Alliance Members contribute Funds to the Alliance. Alliance Managers can use Alliance Funds to purchase items from the Store Catalog. Thus Alliance Members could buy items in the Alliance Store. You can buy many items in alliance store with your loyalty. 1. You are not allowed to contribute until you have joined alliance for 24 hours. 2. For each resource, you have five chances to contribute every day. In the first 3 times, you can contribute both resource and Astone; while in the last two times, you can only contribute Astone. 3. The contribute chances are shared among all Alliance Research, and will be reset after 0:00(UTC+0). 4. You can gain Alliance Funds, Loyalty and Contribute Point as returns. In alliance news, you can check all movements within your alliance including leadership transfer, alliance member status and etc. c. You can receive more Helps if the level of your Command is higher. You can transport resources to your allies, among which some are paid as tax. Upgrading Transport Station can increase the maximum of transporting Resources every time and reduce tax rate. You can send a reinforcing troop to your alliance to help him defend his base. 1. When Alliance Members buy Astone in Astone Store, your Alliance will get Alliance Chests. 2. Attack lv.11 or higher den, your Alliance will get Alliance Chests. 3. Taking part in Alliance Events gives a chance to get Alliance Chests. 4. Alliance Chests will be become invalid in 24 hours. Please often go back to the game and check if there are new Alliance Chests. 1. You will get a number of Treasure Points after opening an Alliance Chest. When Treasure Points reaches a certain number, the Alliance Treasure Level will be upgraded. 2. The higher Treasure Level it is, the greater rewards you will get. 1. Tap “More”, and then tap “Account” to open Account Management page. 2. Players who enter the game through “Play Now” can bind your Email or Google Play account here. 3. One Email address corresponds to only one Account, so is Google Play account. 4. Bind your account with an email address or Google Play account and set a password. You can log in the same Account on different devices. 1. You can participate in events if your Command level is above 5. Completing required actions can obtain event points. You can participate in District Event if your Command level is above 5. Completing required actions can obtain event points for your district. At the end of the Event, Top 1 district will get massive Alien's Shuttles and Landfills as Prizes. Other districts will also get some participation prizes. You can teleport to other districts during the District Event by using Advanced Teleport item. You can attack, scout, gather and scramble Alien Tower after teleporting. Once you teleport to another district, the system will start an 8 hours countdown. Your base will be randomly teleported to your own district after the district event or the countdown is over. Cities from other districts will be shown as RED on district map. Alien Tower is located in the middle of the district map, surrounded by 4 Forts. 1. Scramble for Alien Tower will open at intervals. 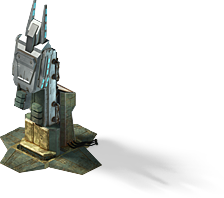 During the scramble period, alliance which occupies the Alien Tower or Fort will get certain points per second. 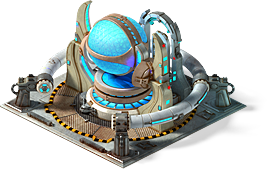 Alliance which occupies the Alien Tower or Fort immediately before the end of the Scramble War will get more bonus points. (Players without an alliance cannot participate in the scramble war.) After scramble, top 5 alliances and their leaders will get prizes. 2. 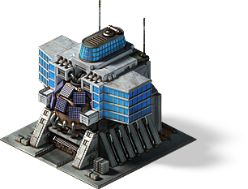 During the Scramble period, one alliance could occupy several Alien Tower/Forts simultaneously. Those points will be accumulated. Corresponding to this, Alliance leader could assign all the titles in the occupied Alien Tower/Forts. However, the leader could only gain the most powerful title and its Bonus. 1. After the scramble war, if a domestic alliance gets the highest points, the Alien Tower and Fort will be under Protection. During this period, the top - ranked alliance leader will become the Ruler; leaders of the alliances ranking from 2 to 5 will become the Generals. Foreign district's alliance leader cannot become General, his position will be replaced by the domestic alliance leader ranking after him. 2. 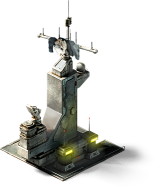 During Protection period, one alliance could occupy only one Alien Tower or Fort simultaneously. 1. After the scramble war, if a foreign district's alliance gets the highest points, the Alien Tower and Forts will be under conquered. During this period, players cannot fight for the Alien Tower and Forts. There will not be a ruler but a conqueror (the top-ranked alliance leader). The positions of General will be vacant. 2. Conquered period will not occur until the district vs district event open. The alliance which occupies the Alien Tower will govern the district. Alliance leader would be the ruler with sovereign power. The leader whose alliance occupies the Fort will be the General with corresponding rights. Ruler and General's alliances will get Organisms reward every day. Conqueror/Expedition cannot get Ruler/General title and buff from the conquered district. But he/she can arrange titles in Alien Tower to those players who are from the district he/she conquered. Only Conqueror and his/her alliance will get a large amount of Astone as rewards after scrambling, and Organisms per day during Conquered Period. Q1: Can I teleport to any district during the event? A: You can only teleport to the districts which participate in this event. Q2: Can I reinforce allies in other districts? A: Sorry that you can’t. If you want to reinforce your allies in other district, please teleport to the district he/she is in first. So is Rally Donation and Transporting. Q3: How to get title? A: The leader of the alliance which occupies the Alien Tower/Fort gains the Ruler/General title. Ruler/General could assign other titles to specific players. Tap a player's base on district map and tap “title” button to assign a title to the player. Titles could be assigned to any player in your district (Except for player who already has a title). If Ruler/General retire, all titles he/she assigned will be reset. Q4: How to get Alien Tower Rewards? A: After the scramble period, the top 5 alliances will get a Ruler’s/General’s Astone chest and Ruler/General will get extra Astone prize. The alliance which occupies the Alien Tower/Fort at (UTC+0) gains a Ruler’s/General’s Organisms chest and ruler/General gets extra Organisms prize. Q5: Could we occupy several Forts simultaneously? A: During Scramble period, alliance could occupies several Alien Tower/Forts simultaneously. Corresponding to this, Alliance leader could operate all occupied forts to Grant Title, appoint Defense Hero and withdraw reinforce troops. However, the leader could only gain one of the highest Bonus. After the Scramble period, each alliance could occupy one Alien Tower/Fort at most. Q6: How to defend Alien Tower/Fort? A: Ruler and Generals are entitled to assign other Titles, appoint Defense Hero, send back reinforce Troops, and so on. Alliance member could send reinforce troops to defend Alien Tower/Fort. 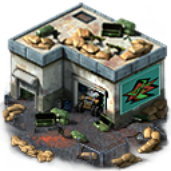 If the Alien Tower/Fort has been occupied by your allies before the rally or attacking troops arrive there, those troops would be converted to Defense Troops automatically. Q7: why is my marching speed so low? A: The marching across the Alien Tower would slow down. Whether the starting point and destination was within the Alien Tower or not, the Marching speed would be much slower than in other landforms. Q8: What’s the teleport rule on Ruins? A: The Peace Shield would be canceled immediately after teleporting to the Ruins. It is not allowed to use Peace Shield here as well. If your base is defeated here, it will be teleported randomly to other places in the district immediately. Q9: Where does boost of Alien Tower/Fort come from? A: The combat boost of Alien Tower/Fort is determined by the combat boost of the Ruler/General. 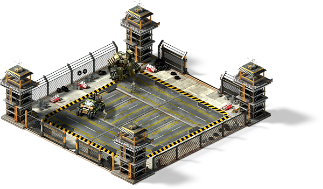 Q10: Can Ruler/General use Peace Shield, Anti Scout and Fake Army in Alien Tower/Fort? A: Items like Peace Shield, Anti-Scout and Fake Army won’t take effect in Alien Tower/Fort. Q11: How to choose a defense hero? A: If the Ruler/General doesn’t appoint a Defense Hero, system would automatically choose the one with highest Combat Bonus as the Defense Hero. Once the leader has appointed a Defense Hero, the system will not substitute Defense Hero any more. Q12: Was is die Ruhend-Rate, Wund-Rate und Tod-Rate beim Kampf in Aliensturm/-forts? A: Ruhend-Rate 90%, Wund-Rate 0%, Tod-Rate 10%. Q13: How many troops can I reinforce Alien Tower/Fort? 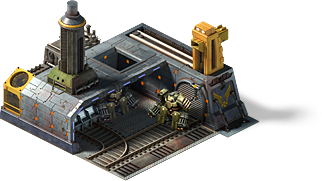 A: Each player could send several reinforce troops to defend Alien Tower/Fort no more than his/her march slots limit. 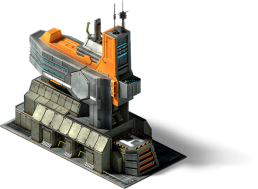 Q14: How to view the distribution of defense troops in Alien Tower/Fort? A: Tap “View Defense” to see the the Defense troops in Alien Tower/Fort. Tap to view the total number of each unit. 1. You can enter Mission page by tapping the Deck in main base. 2. There are two types of Mission: Normal Mission and Elite Mission. 3. Every challenge needs certain amount of stamina and the Dormancy rate is different in each section. 4. You can win rewards according to your performance in each challenge and if you win 3-star in that mission you can win extra chance to raid for more rewards. 5. You can collect Star Chest rewards when you star reaches certain amount. 1. You can enter Alliance Mission by tapping “Alliance-Mission”. 2. You have two challenge chances every day in every chapter. 3. The challenge progress is shared by the alliance, and all alliance members will receive alliance chest reward after passing each section. 4. Players will receive ranking rewards according to their points in that progress after passing the last section of each chapter. 5. R5 and R4 of each alliance can use alliance funds to reset mission progress. 6. Alliance Mission has no star requirements, no star chest and no raid function. The dormancy rate is all the same: 2%. You can enter Mission page by tapping the Deck in main base during the event time. Rules for Time Limited Mission is the same as Solo Mission and you can win abundant rewards. Basic Rules 1. Defeating Alien Invader needs efforts of all members in District. 2. Every player has two free challenge chances everyday during the event. The dormancy rate is fixed as 2%. 3. In battle review, Alien Invader’s health is shown as percentage and the number shown when being attacked is damage. 4. You will receive points and rewards after each attack according to total damage. 5. System will automatically release ranking prizes under either condition: one is the Alien Invader gets killed, the other is the event ends. 1. Scouting will cost a certain amount of Organisms. You can get certain amount of information due to your scout research level. 2. You cannot scout the base with a peace shield; your scouting will fail if the base uses Anti-Scout. 1. You cannot scout or attack a base with a peace shield. 2. You can choose to send a hero or not in your attack. 3. Your Troops per March are limited by the level of Staging Area, but you can use item boost to increase the upper limit temporarily. 4. Battle will happen when the march arrives at the destination. You can use ‘Recall’ to recall your marching troops before arriving. 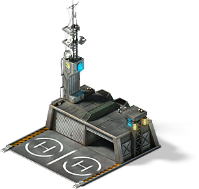 A：You can initiate a war rally against a base from a hostile alliance or against Alien Tower/Fort after joining an alliance. If you are not in any alliance, you can only initiate a war rally against base with Command higher than level 15. A：When your alliance initiate a war rally, you can see the rally information in ‘Alliance-War Rally’ and donate a troop before the countdown is over. The donated troops will under control of the rally owner and you cannot withdraw it. What’s the difference between Reinforcement and Donation? A：Troops you send to your alliance when he initiates a war rally are Donation; while troops you send to your alliance when he gets rallied are Reinforcement. The maximum capacity of Donation is limited by your Command level, and the maximum capacity of Reinforcement is limited by your Staging Area level. 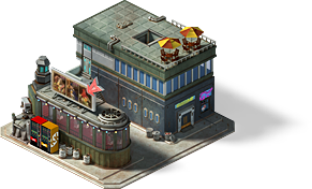 A: The donated troops will be converted to same level unit as the rally owner’s base on [Health]. For example, if the rally owner sent 100 lv.2 Robodog, and A donated 300 lv.1 Robodo, B donated 400 lv.3 Robodog, in this case all the Robodog will be converted into level 2, and total 100+200+300=600 lv.2 Robodog. How does the unit convert when the reinforcing troops’ and defending troops’ unit levels are different? Speed represents the marching speed on district map. If the troops are mixed with different units, in this case the marching time is calculated based on the lowest unit’s speed. Upkeep represents the hourly Supplies consumption of each unit. 1. Hero can be divided into two categories: Battle hero and Secretary hero. 3. The speed of hero will determine the marching speed on district map just as unit speed. 4. Hero consumes a certain amount of Organisms hourly as salary. If you arrange a Secretary hero in your Command, then the base bonus of the Secretary hero’s will be added into base bonus, while the combat bonus will not take effect. 1. Hero Skill can only be applied in Arena, Mission and Attacking Dens. 2. Hero can learn skill after unlock skill slot, and one hero can only learn one skill of each type. 3. You can have a check of Skill Books in “Skill” tab in Officers Quarters, and can synthesize skill books to upgrade its quality. 4. You can enhance the learned skills to upgrade its level. 5. Each skill has a trigger possibility. The effect of a specific skill is affected by skill quality, skill level, hero attribute, equipment attribute and number of expertise units you send. 1. Epic Hero and Legendary Hero can be upgraded to higher star level in Officers Quarters. 2. Epic hero can be upgraded to 3 stars, and can unlock one Skill Slot at 1-star and 3-star; while Legendary hero can be upgraded to 1 star, and it originally has one Skill Slot, and can unlock one at 1-star. 3. After evolution, the attribute of that hero will be improved. Tap “Black Market” to check the image and story of each hero. 1. Crafting in Weapons Factory is the main way to get equipment. 3. You can use item and Organisms to consolidate the equipment. Consolidation can increase the basic attribute of the equipment and bring more unit value to the expertise unit. 4. Input materials to check the crafted equipment quality. 5. You can upgrade your current equipment’s level by inputting materials or equipment. 1. Main ways to get materials: den rewards, use items, dropping when the resource tile is thoroughly collected. 2. You can transmute multiple same level materials into 1 material with one level higher. 1. Main ways to get Chips: attack den, use items. 2. You can transmute multiple same level Chips into 1 Chip with one level higher. 3. Chips can be embedded in equipment, and add combat bonus to the hero. But the combat bonus is valid only for the expertise unit. 1. Den is a small sized castle occupied by NPC. You can find them on district map, and win rewards by defeating them. 2. Higher level den has more troops inside, therefore you can get more rewards when defeating. 3. Attacking den needs a certain amount of energy. You have a free recharge chance every day and also you can use Astone to buy energy. 1. 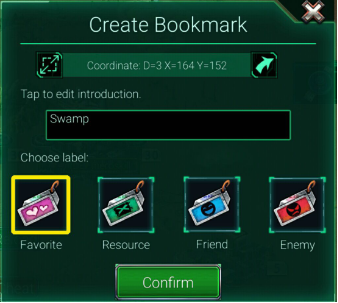 You can find resource tiles on district map. Higher level resource tiles have larger resource reserves, and the collecting speed is also higher. 2. Resource tiles will not increase, once collected thoroughly it will be refreshed on other part of the district map. You can recall your troops before they finish collecting, and bring back the collected resources. d. Attack other player’s base and plunder Resource if you win. Why does my Supplies and Organisms decrease? A: Soldiers cost Supplies as Upkeep every hour. Heroes cost Organisms as salary every hour. If the production of Supplies/Organisms is less than the consumption, your Supplies and Organisms will decrease. A: Every kind of Resource has the upper limit of production. When your Resource reaches this limit, it will not continue to be produced any more. However, using items to increase the amount, gathering or plundering Resource on the District Map are not restricted by this limit. A：The highest level of the hero with expertise of Secretary is level 1. Can hero with expertise of Secretary be used to defend the base, lead troop out for gathering or lead troops in battle? A: Players can choose heroes with expertise of Secretary to defend base, lead troops out for gathering and lead troops in battle, but because heroes with expertise of Secretary only have base bonus, and have no combat attribute and combat bonus as other heroes, so they are not the right choice for such actions. The same happens when choosing a Secretary. Heroes without expertise of Secretary only have combat bonus, so they are not the right choice for Secretary. A: Using keys in Black Market, Attending Solo or Alliance Events, and doing Quests gives a chance to get items. A：You can bind an email to your account on your current device: After log in, tap ‘More - Account’ and fill in an email address or Google Play account to bind with, then you can use the binding email or Google account to play our game on other devices or you can reset password using the binding email. (Please notice: one email address corresponds to one account, so is Google account). A：First log out of your current account, and use your former binding email or Google account and password to log in. Tap ‘More-Account-Log out’ to log out from your current account. Can I change my binding email or Google account ? A：Sorry that we cannot help players change their binding email or Google account, for we have the responsibility to protect the account security of every player. We hope you can understand. Still need help? please feel free to contact us via: ruins@fingerdance.com and we will get back to you as soon as we can. Due to the amount of emails we receive, it could take up to 1-3 days for a response. Suggest an additional feature? please feel free to contact us via: ruins@fingerdance.com and we will get back to you as soon as we can. Due to the amount of emails we receive, it could take up to 1-3 days for a response.